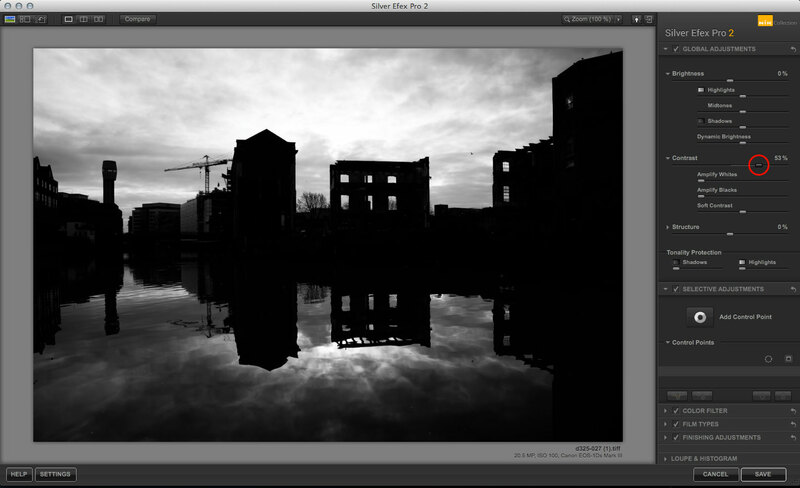 The Soft Contrast slider is one of the new features introduced in Silver Efex Pro 2, and its effects are quite different to the regular Contrast control. At first it can seem quite difficult to work out a use for it, but you’ll soon discover when you start digging around in the presets that it keeps on cropping up. So here’s an example where its effects can be seen very clearly. I call this my ‘Stalingrad’ picture because as soon as I saw this scene it reminded me of the desolation I’d seen in photographs of the WWII Battle of Stalingrad. 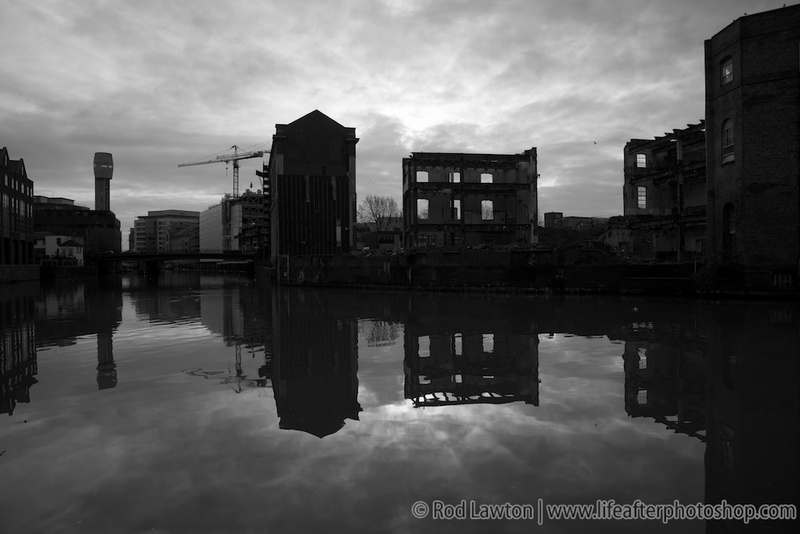 This is no war-torn city, though, just an urban redevelopment site reflected in a still river. I can’t get the association out of my mind, though, and I wanted to find a way to intensify the contrast and drama of the skeletal buildings and the stormy sky. 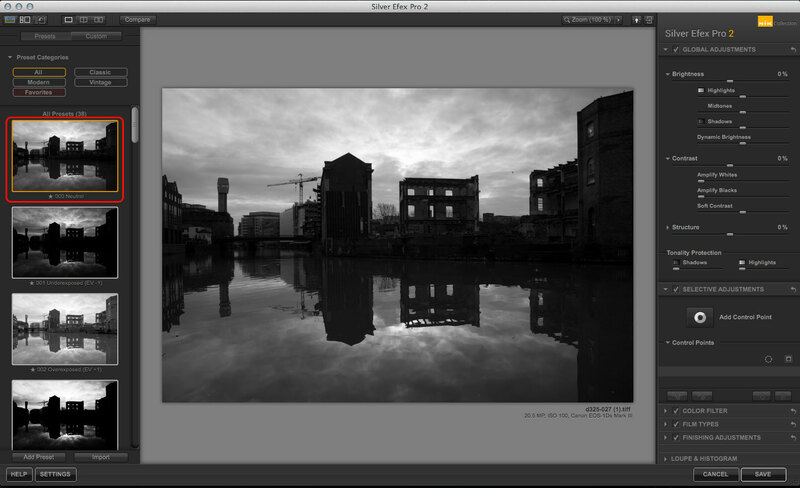 I’ve chosen the Neutral default in Silver Efex Pro because I want to build up this effect slowly so that I can show how it’s been done. As you can see, this picture’s only partly effective as it stands. The sky is a bit bright, the reflection in the foreground is a little dark, and you can’t see much detail in the buildings. Now if I increase the regular Contrast value, it does make the picture look more dramatic, but it makes the contrast problems worse. I need to find another way to tackle this image.